It's canning season and one thing I like to can is BBQ sauce. We use a lot of it in the summer and I like making my own recipe of it. So since we use so much of it I started making and canning my own. 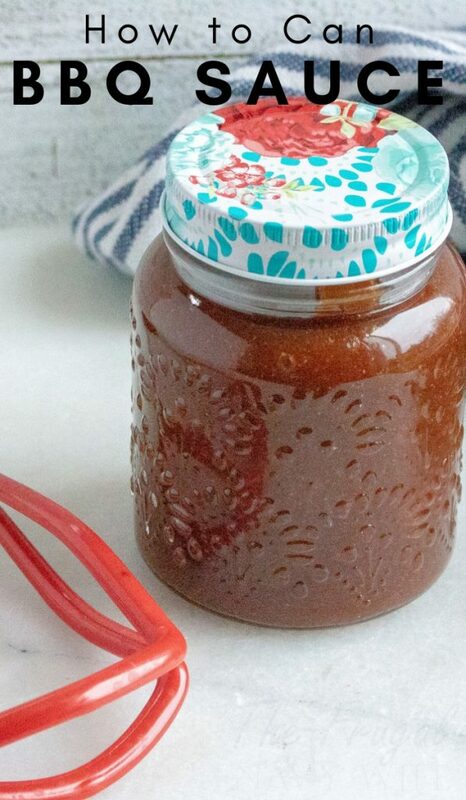 So here is what you need to know about Canning BBQ Sauce. I posted my own recipe for Hickory Bar-B-Que Sauce. We use a lot of BBQ sauce in the summer and even in the winter with our slow cooker and Instant Pot recipes. We love using it on our Root Beer BBQ Grilled Chicken and Slow Cooker Coca-Cola BBQ Roast Beef. I decided to can the bbq sauce for space reasons. You can make it and freeze it if you want but we have limited freezer space and I like to save that for the meat deals I find around town. Also, these make great gifts if you dress them up with these Pioneer Woman canning lids and a cute gift tag or note to go with it. I like using the decorate canning lids on my own stuff that is going to sit on a shelf too it just makes the kitchen look happier and prettier. Canning using hot pack method with 1/2″ of headspace. Process with a Water Bath for 35 minutes for pint jars, at 212 degrees. For elevations above 1,000 foot level see Altitude Time Adjustments. 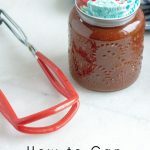 After processing, place the jars on a towel, separated by 1″ to cool. Make sure all jars are sealed. If not sealed refriderate and use with in 1-2 weeks.